There’s nothing that lifts people’s hearts more than being empowered to provide for their children and rebuild their communities – to be a part of something greater than themselves. For too many in America, this has not yet been possible. But what if we made it possible? Imagine if the disenfranchised among us had opportunities and pathways for careers and were equipped with the training and skills to rise up and break the bars of poverty. Imagine the most impoverished communities transformed into meccas, into areas of economic opportunity and vibrancy. This is my vision for the future. Almost half a century ago, the nation came together and we inspired a generation by sending a man to the moon. It’s time to think vast once again. We need to come together and realize that we can do more to transform the lives of those in poverty. Here’s how: let’s create a movement by urging our government officials to allocate more of our budget into rebuilding our inner cities and making them thriving centers of beauty and business. Let’s get the residents in these cities employed and into permanent homes. Around the country, regional workforce programs in the construction industry are already transforming thousands of lives and communities. These programs provide pathways to careers in construction and focus hiring efforts on the disenfranchised. This is our blueprint. We have the data. We know it works. We just need to cast a wider net and implement workforce programs at the national level. But it can’t end there. We need to rebuild the neglected infrastructures pervasive in these impoverished communities – from roads to highways, to schools and hospitals – to not only create opportunities for employment, but to transform these areas of neglect and poverty. All this is possible. We just need a radical change in the way we approach this dire issue. Let’s defy the shackles of convention and provide all citizens of this nation the opportunity to prosper. 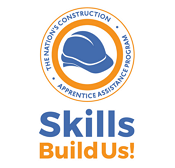 Skills Build US is a non-profit organization focused on transforming disadvantaged communities throughout the country by supporting initiatives that pave the path for construction careers and promote continued infrastructure investments in our inner cities.